Americans use 500 million straws every day. We developed the Klean Kanteen Stainless Steel Straw 4-Pack as a reusable solution to disposable plastic straws and an ideal accessory for our 16oz or 20oz Insulated Tumblers and Steel Pint Cups. 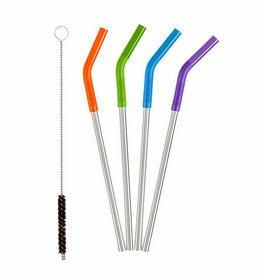 Whether you're drinking smoothies, pressed juice, or iced coffee, Klean Kanteen straws make sipping safe and easy. 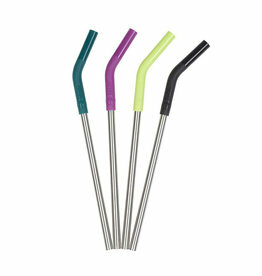 Our straws are made from high quality 18/8 stainless steel with a safe, food grade, removable silicone flex tip.